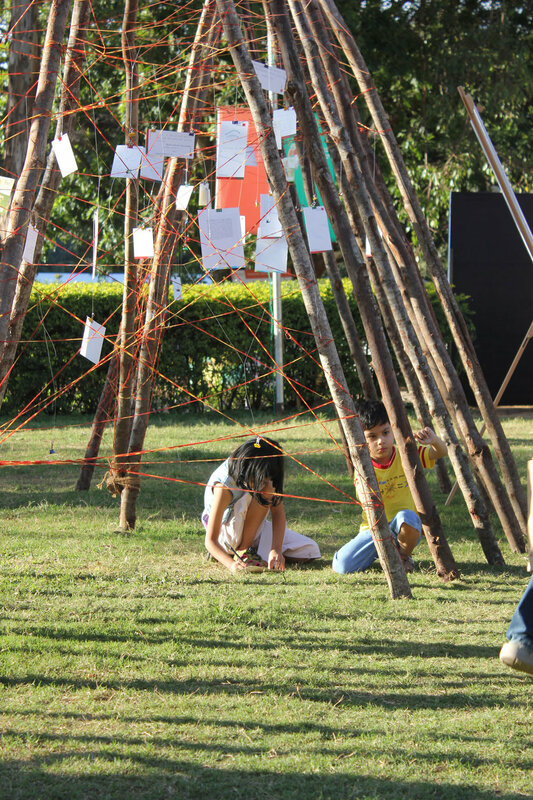 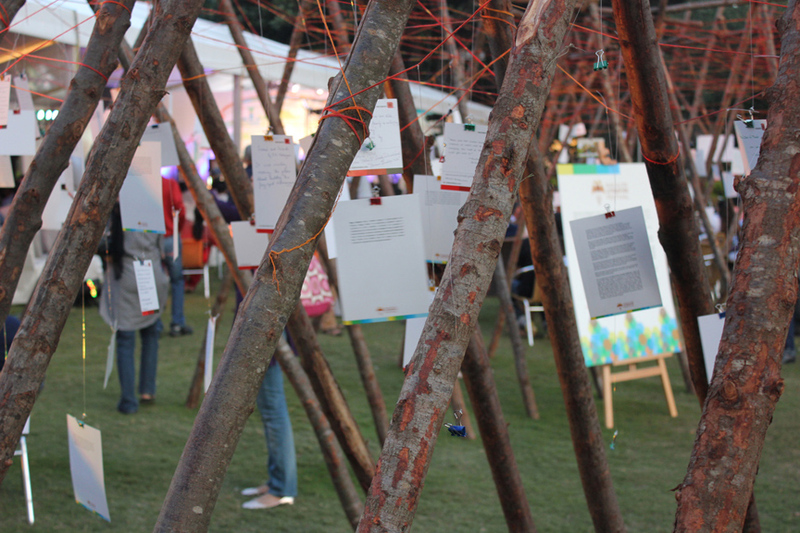 Between 2012-2014, KLN worked on a series of 'literary installations' for the inaugural and subsequent editions of the Bangalore Literature Festival. 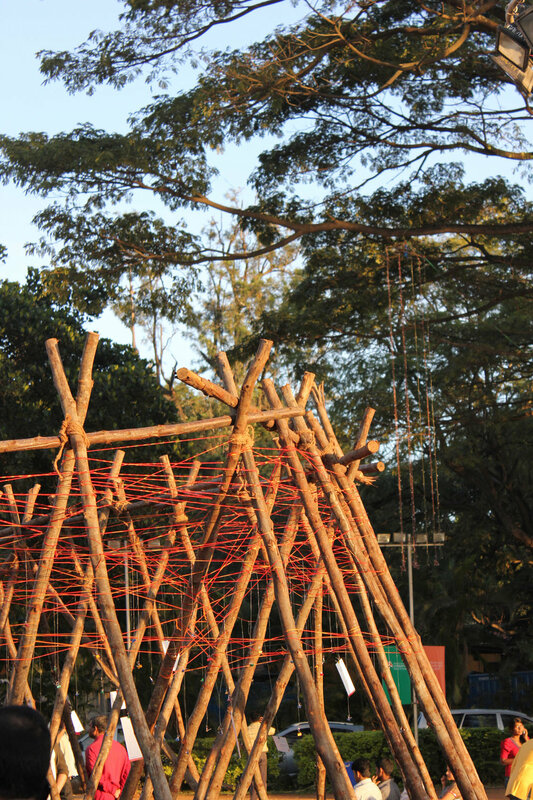 These installations are conceived as interactive spatial constructs created from materials found, sourced and assembled locally. 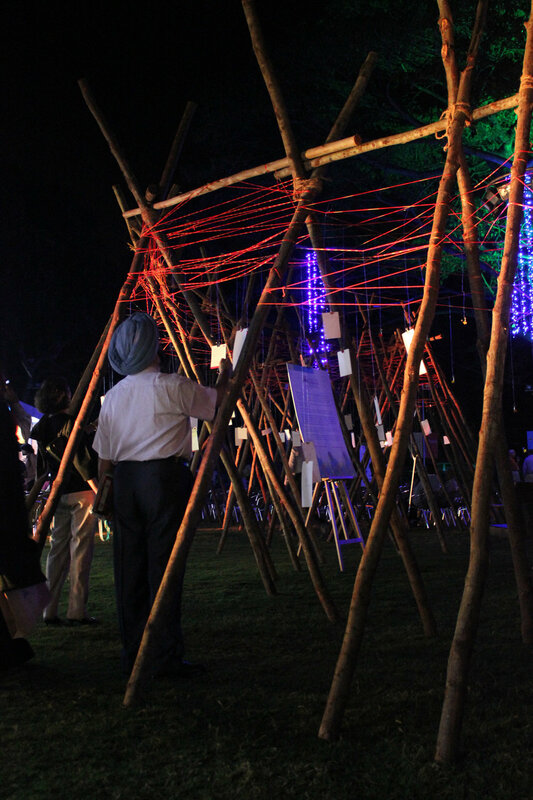 The first installation is a long winding 'forest of opening lines' created using casuarina poles, hemp rope and 'holy thread'. 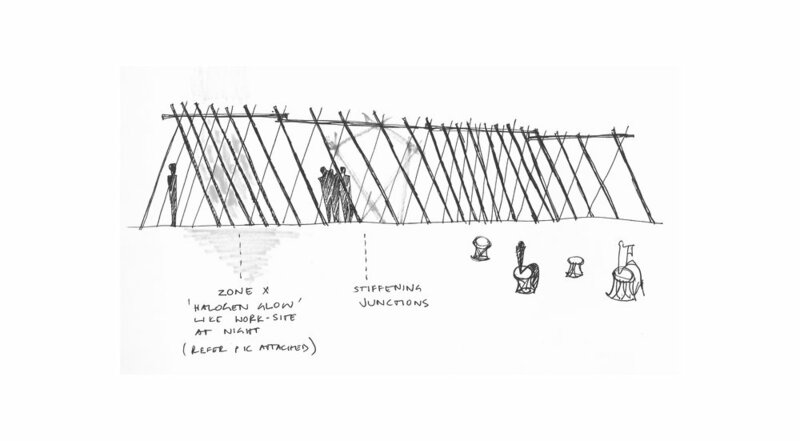 Inspirations for these installations come from urban vignettes, collective memory and the idea of the ritual.